One problem in this country is that political discourse has become hyper partisan and personalized. Discussions are to yield insight and to often they become personalized and create more noise than light. 1) Ad hominems are not tolerated. An attack on the person (name calling, ridicule, labeling, etc.) is a logical fallacy. One can say “your argument is absurd” or “you have ignored my points and pretended I didn’t make them, which indicates intellectual dishonesty.” So it’s not like personal criticism is not allowed – heated debates are fine. But when it becomes name calling and personal attacks, it’s not worthy of this blog. 2) Keep comments cogent and clear. Long, verbose rambling comments create a kind of comment pollution that hides shorter, thoughtful comments and takes over a discussion. 3) There will be less patience with anonymous posters than those who put their own identity out there and take responsibility for what they write. While I recognize and respect the legitimate need/desire of some to remain anonymous, for a minority that anonymity makes it easier to undertake behaviors they would not engage in if their names were attached to their words or actions. 4) Repetitive posting is strongly discouraged – discussion involves an evolution of an argument, not simply restatements. 5) I will take these rules seriously. I’ve contributed to the breakdown of discussions by allowing myself to be egged on by someone with no desire for a real conversation. Given that, I do not plan any bans on anyone. If the above rules are adhered to, everyone can say their piece. Walter Lippmann noted that democracy requires opposition, and that people listen to each other. That’s what I hope my commentators will do, and what I aspire to do. Since the Republicans took the majority in 2011 House Oversight Committee Chair Darrell Issa has been investigating everything he could, hoping to find corruption or a scandal in the Obama Administration. So far, they have found little to nothing. However, they’ve been seduced by wishful thinking about a botched Justice Department investigation called “Fast and Furious.” Programs to track guns (so called gun walking) started back during the Bush Administration and were designed to generate information about Mexican drug cartels. It ended when it became clear that some of the guns had found their way into criminal hands and had been used in crimes against innocents, perhaps even a US border guard. That’s it. Fortune magazine has investigated this extensively and concluded there was never any intent to have the guns fall into the wrong hands. The Justice Department is conducting a thorough internal investigation. Congress has also found no evidence of wrong doing. But conspiracy theories on the far right came up with truly absurd claims — that this was an attempt to promote gun control by increasing violent crime, or that somehow the Justice Department was in collusion with Mexican drug cartels. There is no evidence for any of those claims. When the problems in the program came to light it was ended and ultimately thousands of documents were given the House Oversight committee. It should have been enough; in fact, when the Committee Chair Darrell Issa said he wanted more, Attorney General Eric Holder obliged. When it became clear that Issa was simply fishing, Holder refused to give over documents that deal with internal White House discussions, likely between Obama and Holder. As President Bush (and all recent Presidents) have done in similar circumstances, President Obama declared executive privilege. 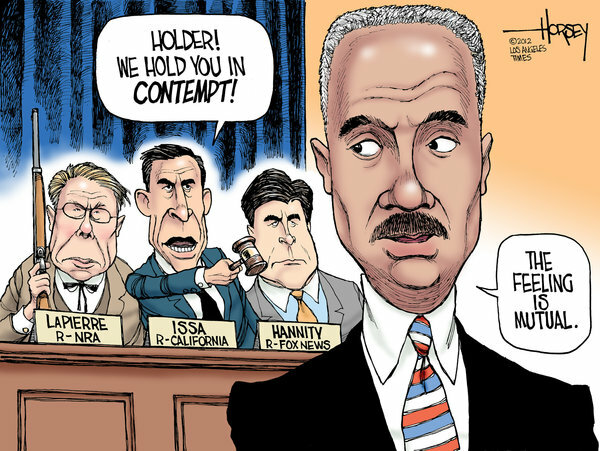 So why hold Holder in contempt – President Obama is the one declaring executive privilege? It’s pure political theater. The NRA and others who want a conspiracy theory to be true kept putting pressure on Issa to dig more, even though nothing, absolutely nothing, had been found to indicate deeper problems. Beyond that, the GOP’s political wing hopes to at least create the illusion of scandal to help diminish President Obama’s reputation and increase their chances of defeating him. The NRA even announced they would be “scoring” the contempt vote, pressuring a small number of moderate Democrats in conservative districts to join in the contempt vote. 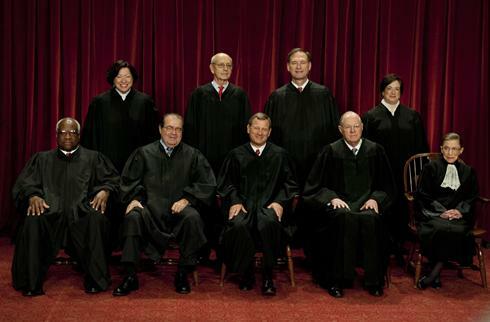 At 10:00 Thursday the Supreme Court was set to rule on the Affordable Care Act. Intrade gave it a 75% chance of being overturned, and pundits left and right seemed resigned to or energized by the fact it seemed almost certain that the court would reject the law. It became entrenched conventional wisdom that the law was all but dead. Rush Limbaugh said that Republicans should “spike the football” when it’s overturned, and a lot of conservatives were eager to hear the ruling. 1. The Court would announce that the individual mandate was unconstitutional, thereby dooming the entire law because without the mandate it could not be funded. They’d quickly seize on this as a failure of the President on his keystone issue, arguing that Obama can now claim no lasting accomplishment and making his first term a failure. 2. The House would then hold Attorney General Eric Holder in contempt, the first time ever that the House and an Attorney General could not negotiate to settle an issue like this. 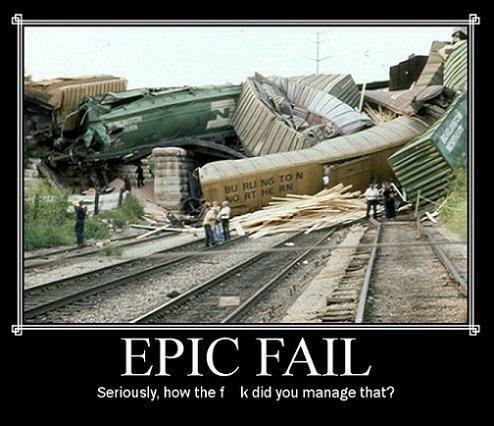 On top of the health care ruling, it would appear as if the Obama Administration was imploding. This double whammy would be a stepping stone to an all out attack on the President, heaping ridicule, scorn and faux pity on Obama who would be painted as having not been up to the task of being leading the country. 3. This day would mark the beginning of a redefinition of the Obama Presidency from being an historic activist one to a failed and incompetent one, setting up a victory for Mitt Romney and the GOP in the fall. 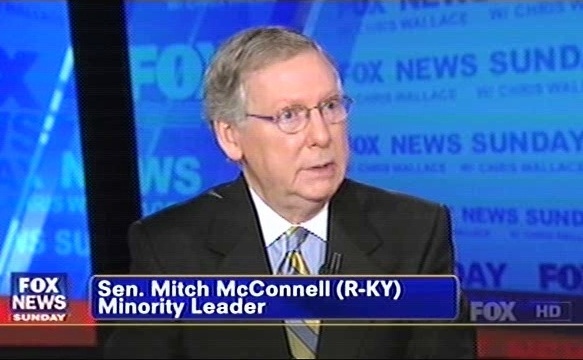 Since January 20, 2009 the goal of the GOP has been, as Senator Mitch McConnell said, to deny President Obama re-election. They’ve refused to cooperate on major issues, pushed the country to the brink over a debt ceiling increase, and have increased the scope of partisanship in Washington. This isn’t to say the Democrats weren’t often doing the sae thing, but compare how often the Democrats had been willing to work with President Bush to the way the GOP has dealt with Obama. The difference is striking. The Republicans in Washington had power and they lost it. They want it back. They can taste it. McConnell explicitly stated that the number one goal of the GOP was to deny Obama re-election. Rather than work with him, they hoped to deny him accomplishments and then defeat him. No doubt the talking points had been handed out; the assault on the President was about to begin. Then incredibly one conservative Washington insider proved above politics: Chief Justice John Roberts. Suddenly the joy on the right turned to anger, depression and shock as so-called Obamacare was ruled constitutional. 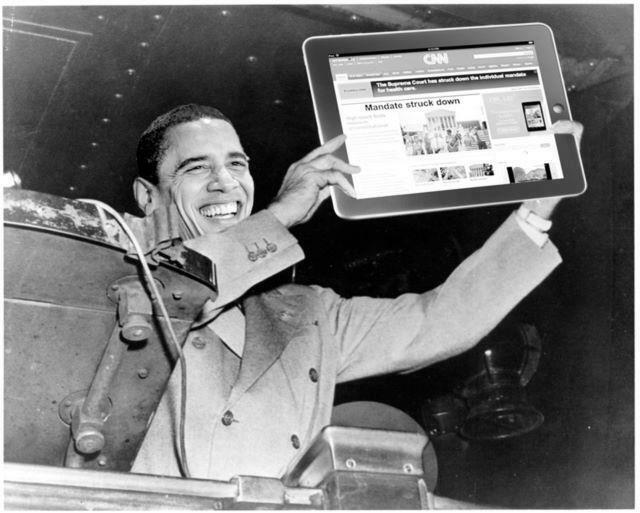 Obama emerged triumphant. 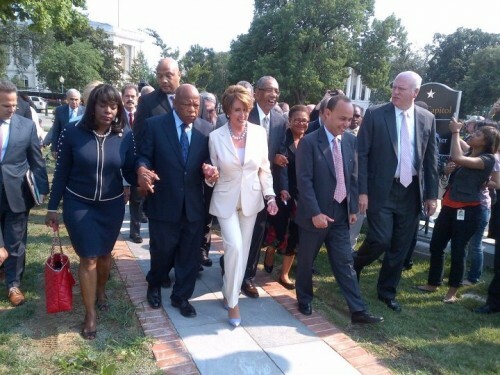 The contempt vote against Holder took place in this context but it was nothing like they had imagined it would be. The Democrats staged a major walk out, and pundits decried the politicization of the issue and the grandstanding of Chairman Issa, who achieves nothing real by this vote. At best it could make it to the courts and take months to get resolved, but most likely it just goes nowhere. Rather than make the Obama administration look incompetent, the result was self-inflicted damage to the GOP. Democrats walk out rather than vote on the contempt charges against Holder, reinforcing the idea it was a purely political vote. The events of June 28th represent a defeat for the GOP. Their efforts to paint Obama as a failed or ineffective President have so far fallen short. Obama remains the favorite, is ahead in the polls, and has solid leads in important swing states. This was to be their shot at seriously wounding the President before the campaign starts in earnest. Few think Mitt Romney can win by enticing people to vote for Romney; they hope to convince people to vote against Obama. The election is still months away and much can happen. But the way events Thursday played themselves out had to be very depressing for Romney camp insiders and gives the President a tailwind going into July. Thursday the Supreme Court ruled 5-4 that the Affordable Care Act, nicknamed “Obamacare” is indeed constitutional. In so doing, they rejected a judicial activism that would severely limit the democratic power of the people. The ruling is causing confusion. Because the individual mandate (everyone has to buy insurance) is permissible due to the ability of the government to tax, some are claiming that this amounts to a huge tax increase. That’s false – people will be buying insurance, not paying a tax. Those who refuse to buy insurance will pay penalties. However for many Republicans, convinced by oral arguments that overturning the act was an almost sure thing (intrade had the likelihood at 75%), it’s an attempt to walk back the celebratory tone they’d been taking. This also ensures that the debate in the run up to the 2012 election will be more serious than it has been. Until now the GOP has been simply opposing the law, saying they had ‘free market’ alternatives that will ‘increase choice.’ A close look shows that they evade most of the controversial issues. The emphasis has been on creating ire over Obamacare and hoping the Supreme Court would do the dirty work and strike down what will be very difficult for them to repeal. 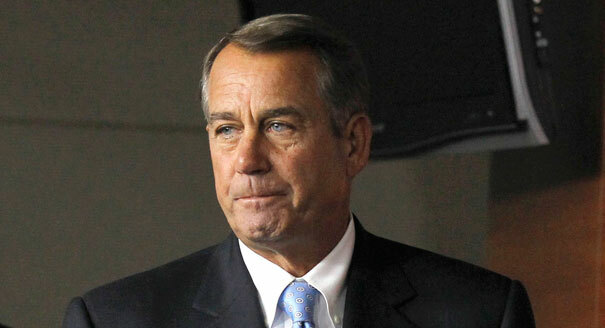 House Speaker John Boehner will have to confront difficult issues in the health care debate. With the Supreme Court saying that this is for Congress and the President to work out – Justice Roberts correctly noted that it is not the job of the Court to rule on the wisdom of the law – the politicians will ultimately have to get into the nitty gritty of the law. The Democrats will point out all of the positive aspects of the law and force Republicans to embrace some aspects of it. Republicans will have to confront the health care problems that face the country and offer plausible solutions. In a perfect world, one could hope that such debate would yield good ideas from both sides of the aisle and a mutual willingness to improve the law. In the world we have that’s unlikely. The worst result is that a massive amount of money is spent to manipulate public opinion and drown out the serious side of the debate, saving politicians from having to deal with reality. I suspect that in either case we’ll have a similar result. The two parties will recognize that the US now has a health care system that aspires to universal coverage and tries to contain costs. Information about what works and what isn’t working will guide reforms to the act. As with social security and medicare, over time it will be taken as natural to have a health care system; the biggest hurdle was the Supreme Court. CNN’s “oops” moment pictured above was caused in part by the widespread belief that the act would be ruled unconstitutional. Most pundits were almost certain of the result, especially after the government seemed to do very poorly in oral arguments. But oral arguments rarely give a good glimpse of what the result will be, and on an issue like this oral arguments can be virtually irrelevant. The Justices have intense discussions to try to get the law right. The most important aspect of this ruling is that the Supreme Court refused to interpose itself into an important political decision that should be left to the people and their representatives. This is the kind of issue that we as a society have to work through politically, and the Court should allow that. I’ve often agreed with conservatives who oppose judicial activism from the left; judicial activism is also wrong from the right. Justice Roberts sent a signal today that while he has a conservative ideology, he wants to protect the Supreme Court’s integrity and reputation. I hope that this means that his court will refrain from judicial activism and leave most issues in the hands of the democratic institutions. There are important exceptions, of course, involving fundamental rights and equality under the law. But today Justice Roberts rose above politics and proved that he understands his role as Chief Justice. 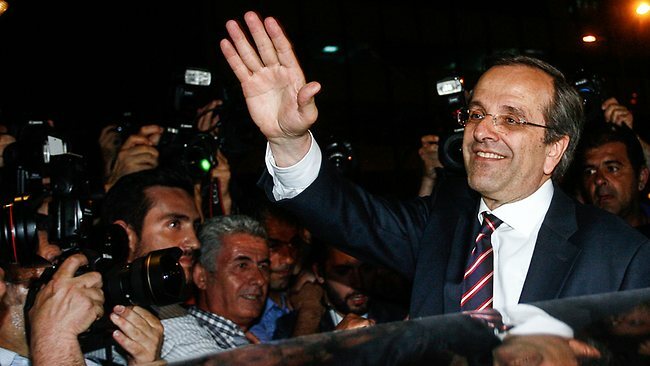 New Democracy leader Antonis Samaras became Premier on Wednesday, heading a three party pro-European government. Last weekend the Greek people faced a decision on their future with their second election in as many months. The first election, held May 6th, was a shocker. Greek austerity, forced upon the country by the European Union, led to a massive deepening of the Greek recession and a significant drop in the standard of living and quality of life in Greece. Few countries have seen such a dramatic and unexpected decline as Greece has. The people felt humiliated. They realized that their leaders had been lying and gambling with their country’s future, putting the country in tremendous debt, fostering corruption, and then leaving the Greek people holding the bag when everything fell apart. On top of that the Germans and the rest of the EU needed to bail them out, helping not average Greeks, but the politicians and banks that created the mess. That anger came out in the election results. New Democracy, the conservative party, had the most votes with 18.85%. That won them 108 seats, thanks to the bonus of the largest party getting 50 more seats than the percentage should earn them. That was down from 33% in the previous election, though they gained 17 seats since in 2009 they were not the largest party. The ruling party, PASOK (left of center) fell from 43% to 13.18%, losing 119 seat (and ending with 41). 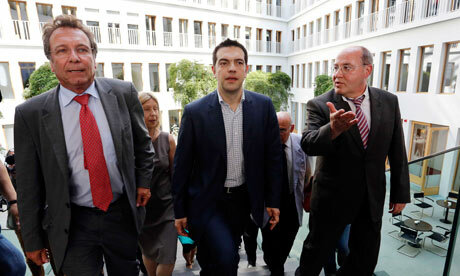 The surprise winner was the radical left wing party Syriza, led by Alexis Tsipras. Tsipras tapped into the anger and humiliation to rise from 4% to 16.8%, passing PASOK. The result took Europe by surprise. In a 300 seat parliament, even PASOK and New Democracy together couldn’t form a ruling coalition, as they controlled only 149 seats. Talks with other parties made it clear that any government that they formed would be shaky and could easily fall, which is not a good thing when the country has to make very difficult decisions. 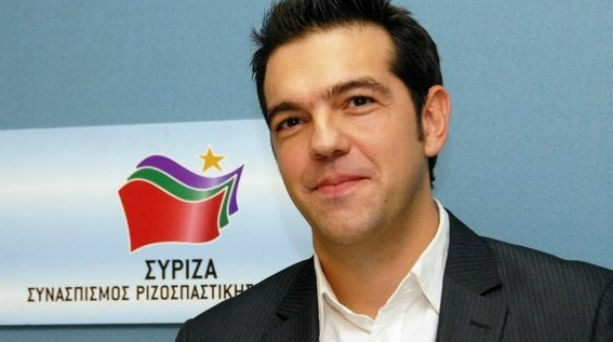 37 year old Tsipras signals a left wing challenge to Euro-orthodoxy. If the main parties can’t show real progress, he could emerge stronger in the next election. In the uncertainty of the moment they decided that the most prudent course of action was to ask the voters if they really meant it. A new election was planned for June 18. As the campaigning grew it was clear that Greeks were reading the election as a referendum on the Euro and to some extent the EU. Should Greece remain in the Eurozone? Tsipras made a confident, powerful and emotional argument that they should not, unless they get real concessions from the EU. Do the Greeks really want to have their sovereign decisions made according to German dictates? Should the Greeks accept an austerity that requires them to see the recession cascading inward and causing more pain for average folk? Shouldn’t the politicians of PASOK and ND (New Democracy) be punished for their corruption and willingness to drive up such debt with horrific fiscal policies? 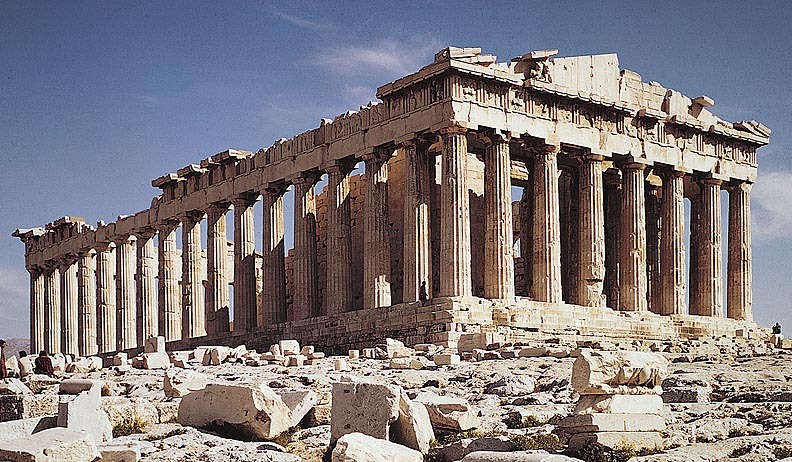 Shouldn’t the Greeks be in charge of their own destiny? After all, the Europeans want to “save” Greece to save their own banks — doesn’t that mean Greece has more bargaining power than they realize? As Tsipras’ popularity grew many assumed Syriza would end up on top in the June election, perhaps with enough votes to form a stable coalition. The result would dramatically increase the odds of a Greek departure from the Eurozone, even though Tsipras coyly claimed he simply wanted to negotiate “fair” terms. After early reports had Syriza as narrowly winning as the largest party, the actual results gave that honor to ND. ND earned nearly 30%, up over 10% from a month before, now with 129 seats. Syriza also increased its share to 27%, gaining 19 seats. That means that compared to 2009 it rose in popularity by 23%. Although they didn’t come out on top, it was still a remarkable performance for a radical party once seen as too extreme to be taken seriously. PASOK fell further, losing 8 more seats and down to 12.3% of the vote. The former ruling party was clearly being punished. Yet PASOK and ND could combine for 162 seats for a clear majority in government. To provide added stability they added the pro-EU Democratic Left, whose 17 seats gives the coalition 179 out of 300. The first recorded moves towards democracy came in Athens; it was messy but voters show democracy still works. So what does this mean? 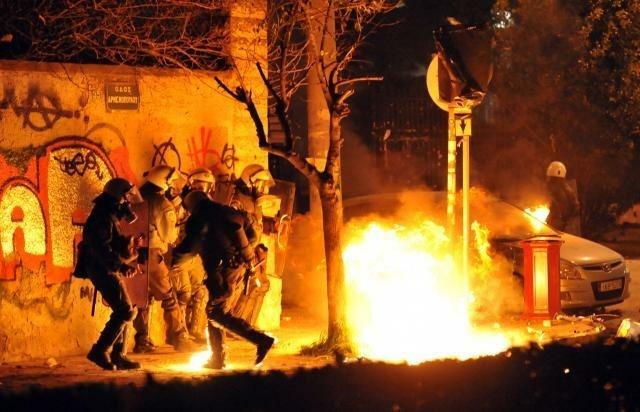 The Greeks took a hard look at what Syriza represented and found it scary. The party is Euro-communist, and its radicalism would put it in opposition to the rest of Europe. Many fear that it would drift towards dictatorship, like past Communist parties did. That seems unlikely, but many Greeks angry about the situation didn’t want to leap to the far left or the far right — those ideologies have a poor track record. They also had time to digest what would happen if they brought back the drachma. First, they’d see the value of their currency plummet, which would force them to default on loans. Second, they’d not be able to get new loans, people would trust neither the Drachma nor Greece’s ability to pay them back. That would either mean a fall into near third world status or, should Greece try to use monetary policy to stimulate the economy, a risk of hyper-inflation. More importantly, they wouldn’t be part of Europe any more, at least not the civilized united and progressive Europe that the EU represents. The Greeks know that a small backwards troubled economy south of the Balkans could drift farther from the prosperity and stability that northern Europe represents. Independence and sovereignty sound good in theory but in practice they represent a fading era. Greece without Europe would be a Greek failure. The problems have not been solved. The austerity program as currently structured is too harsh and has no growth aspect designed to help Greece truly restructure its economy. With the rise of French President Francois Hollande as a foil and potential partner to Germany’s Angela Merkel, the EU has the hard task of formulating a new approach that isn’t so harsh on Greece in exchange for stricter monetary policy controls. The banks are going to have to take loses – the problem can’t be solved by governments alone. Tsipras (center) has allies in Germany in “die Linke” (the left), a party to the left of the Social Democrats. Here is talks with Klaus Ernst and Gregor Gysi in Berlin. But some of the urgency has gone away. They have time, and in Germany, Greece and elsewhere there is growing recognition that a contraction of the Euro to an inner core of wealthy countries would damage everyone. And the longer this drags out, the less likely it is that things will fall apart. The EU and the Euro are revolutionary, they are redefining what a “state” is, what “sovereignty” means and how economies are structured. Such transformations are never easy, but most Europeans realize there is no turning back. My father has (many times) gone out of his way to help me. Most recent of all, he spent FIFTY dollars to fix my favorite video game. Also, he is understanding when I can’t go ghost hunting (new hobby) and I get mad. He listens to me when I have something to say. He helps me on everything. And he never gives up (except homework). He has bought a lot of stuff for me and he’s still buying more. Like ghost hunting equipment. Life is good. I think my father (Scott Erb) is the best father ever. It’s like he knows the future of what will happen and what I want to happen. I also love that if I fail, he doesn’t regret having me as a son. He taught me a lot of things over the years, like riding a bike or using a video camera. There ain’t nothing he can’t do! His attitude is so strong that if he were falling out of an airplane to his death he’ll say “Wow, it’s a nice view up here.” Life is good. So I thank him for all that and much, much more. It’s like I was given super luck or something to have him. He’s so nice. He is going to take me ghost hunting at Nordica! Yes. He literally reserved Nordica for me to ghost hunt. Yes, a real haunted location. He’s even letting me drive his car! And we use ghost hunting equipment! (You already know). He tries everything to make me happy! He took me (when I was five) to Chucky Cheese when our cat died. Life is good. I am like way too lucky to have him as my guardian. I appreciate everything that he did for me. Our bond is UNBREAKABLE. I mean literally. Thank you so much Father. Life is good. You comfort me Dad and when I need it, you do everything you can. Sometimes I feel like you’re magic, you’re so good. Life is good. You comfort when I need it. You help me when it happens. You bring joy and happiness right into me. You come under, and over obstacles for me. You are more than just a father. 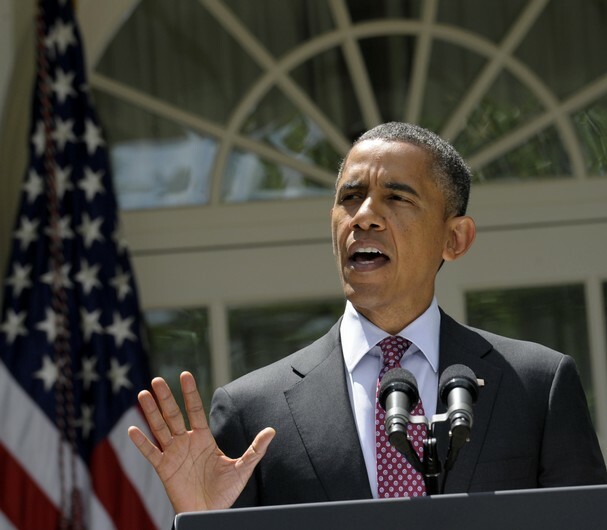 President Obama lays out immigration policy changes in a Rose Garden statement on June 15, 2012. 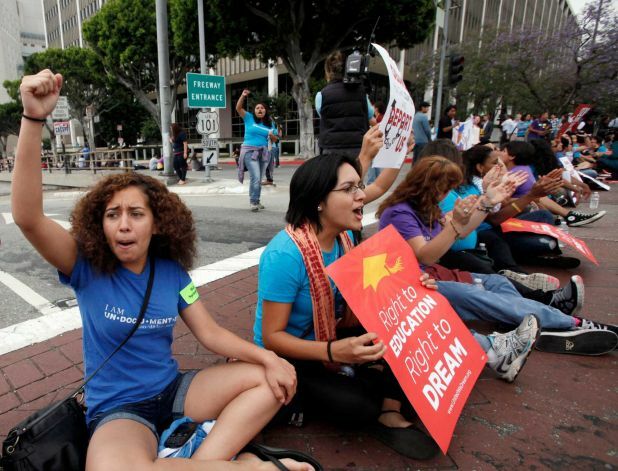 Friday President Obama announced a long overdue decision to allow “dreamers” – young Latinos who were brought to the country at a very young age, have grown up and lived in the US most of their lives and do not know any country but the US – to avoid deportation, even if they are here illegally or without documents. In the short term, this clearly has knocked the Republicans for a loop. 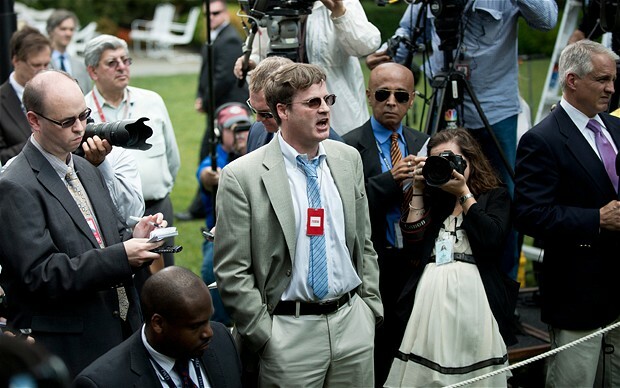 Uncertain of how to react they are going to bizarre lengths, even criticizing the President for appearing irritated (and only slightly irritated) at his press conference when heckled by a reporter! They realize he’s just made it harder for Romney to win the election. Romney is in a tough position. To win he has to try to either earn a higher share of the Hispanic vote (unlikely) or hope that Latinos are unenthused and don’t turn out in large numbers at the polls. Obama’s decision just made it more likely that especially young Latinos will be motivated come November. It became harder for Romney to bridge the demographic gap I discussed earlier in the week. While this was at least in part politically motivated, it also reflects views Obama has been promoting for years. Most of the public supports this, the Senate tried to pass it with 55 votes but the Republicans filibustered. The House passed it when under Democratic control. Simply, Obama is right to note this is the right thing to do. It doesn’t solve the problem – the policy could be rescinded by a President Romney – but is clearly a popular and positive move. This is the second big political headline Obama has created in recent weeks. Last month he publicly came out in support of gay marriage, an historic move that energized his base. Many thought that blacks, traditionally opposed to gay marriage, would balk. However, most profess not to care — it’s not like that issue is going to get them not to support the first black President! Others thought it might make it easier for Romney to chip off some Latino votes, but today’s move and the Romney campaign’s own clumsiness on the issue make that less likely. Rallies of support for the change quickly spread, even as Republicans were left complaining that Congress (which has refused to act) had been left out. I sense a pattern here. 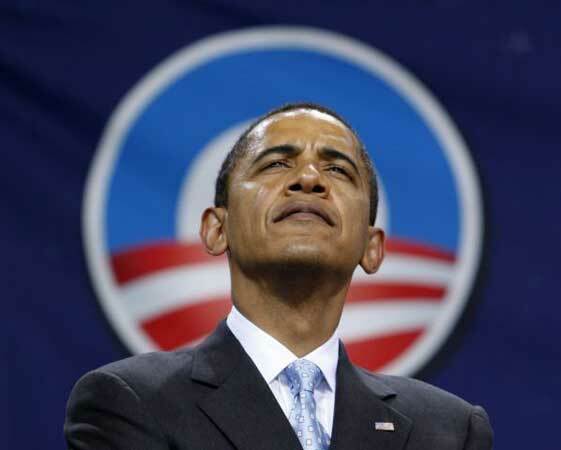 First, Obama has decided that to win this election Obama the pragmatist would have to give way to Obama the bold. I would not be surprised to see a few more major policy decisions in the coming months as Obama positions himself for a re-election campaign that could be tight. One thing an incumbent President has that a challenger lacks is power. He can make headlines, change policy and shift the national conversation. When this power is wielded deftly, it gives an incumbent a built in advantage, which is why it’s rare for a President not to win a second term. Team Romney feels like they’ve had a good couple weeks in June, but the polls are staying pretty steady. The main reason team Romney’s positive mood is that massive amounts of money is being raised by “super PACs” likely to amount an extremely well funded negative campaign against the President. It is unlikely the Democrats can counter that, especially as Romney has Wall Street in his corner. That makes “Obama the Bold’s” next move clear: to find a way to directly take on Wall Street. With headlines saying Wall Street is firmly behind Romney and most citizens still angry about large bailouts and obscene bonuses being paid to Wall Street insiders, Romney could quickly become known as the candidate of the wealthy elite who brought us the 2008 economic collapse. Already the Romney camp is worried about the image of Romney being Wall Street’s man. Moreover, they are betting on a bloody negative fight whereas they try to paint Obama as out of touch and aloof. That image Republicans are trying to cultivate (any time he shows any irritation at anything it pops up on Drudge as the President being ‘prickly’ or ‘annoyed’) is well planned. In fact, a memo leaked to the press had a group say they could get Americans to “hate” Obama by engaging in such efforts to smear and attack. Images like this are pounced upon by the right who want to paint Obama into some kind of arrogant aloof elitist – if they can’t defeat him on ideas, they hope to simply smear. The problem is, Americans aren’t buying it. Even those who are disappointed with Obama’s job performance still like him. Moreover, he has the bully pulpit, and hundreds of millions of dollars of negative attack ads may end up being marketing that is just as effective as the ads selling “new Coke” were in 1985. Overkill and an over the top message can turn people off against negative campaigning, and Obama’s people know what’s coming. The power of the Presidency can trump a lot of PAC money. The election is still close – Intrade has the President’s chances of re-election at 53%, down from 60% in early May, but far better than the below 50% numbers he had most of the second half of last year. Still, President Obama is telegraphing an activist strategy that Romney will find difficult to respond to, especially if the Republican message is primarily negative and offers little new from the Republican play book of the pre-2008 era. We will only know in hindsight, but given the symbolic and real importance of this change in immigration policy, June 15 may end up being looked on as the day that President Obama assured his re-election. A piece of the fabric of space-time fractured in my office today and a description of a course to be offered in 2279 slipped through. Weird, that. It is the year 2279. Here Professor Hubert Morgan talks about the popular history course on the era of transition from 1985 to 2065 when somehow the global system survived a series of crises without collapsing. Instead, the basis for the peaceful global union we have today was forged. We look back at the era as one of instability, riots and fear that we luckily managed to survive – students in this course learn to understand the era through the eyes of those who actually lived through it! People come to the course with a variety of expectations. They know that this was the era of globalization, economic crisis, the collapse of the sovereign state as a system of governance, intense global warming, energy crises and famine, but they also know that the story had a happy ending. Not only did they solve their problems through a mix of technological ingenuity, political creativity and adaptation, but they forged an ongoing era of peace, known as the Global Union. In my course I try to as much as possible get them to experience that era the way the people living through it did — not knowing for sure what was happening, finding it hard to let go of old concepts and ideals, and fearful of the future. 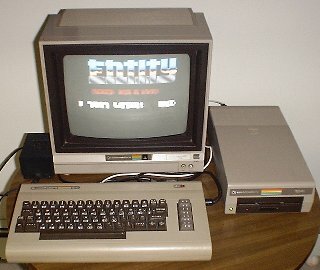 Students get hands on experience with old technology such as this mid-1980s version of a “personal computer.” Now seen as ancient and archaic, these machines were the gateway into the information revolution that changed the world. We start at 1985 – the year when both globalization and the information revolution started to take off. We spend time there, learning about the culture, the state of the world, the films (students especially enjoy one called “Back to the Future”), the games, and the music. 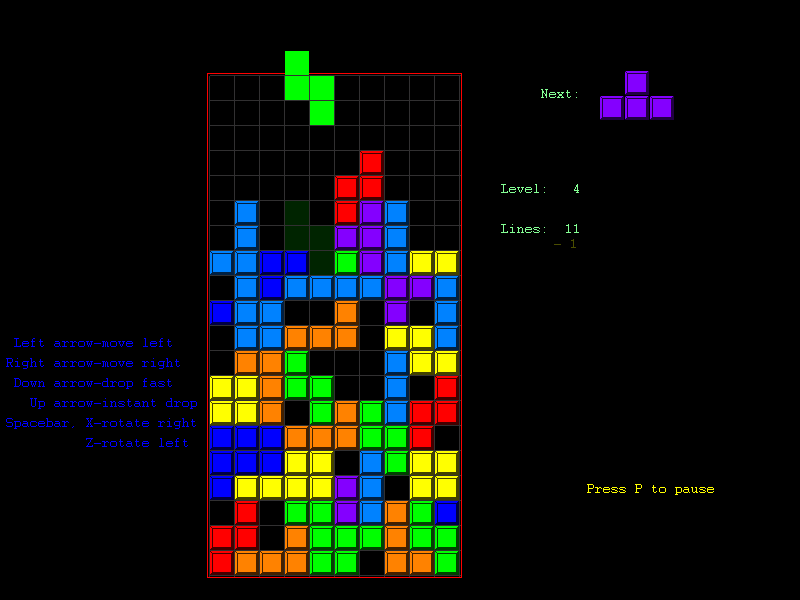 Students laugh when they see the 1985 game “tetris,” which looks much like the exercises two year olds engage in to develop spatial cognition. “It’s surprisingly addictive,” one student grudgingly noted. People choose various media experiences – that was the age of motion pictures, television, and the emergence of music on compact discs – large cumbersome devices that nonetheless opened the door to the era of digital music. The idea is to immerse themselves in this strange but fascinating past before heading onto the roller coaster of the next eighty years. Students take awhile to understand ideology. Ideology is now seen as a kind of mental prison forcing people into stagnant modes of thought, but politics was ideological in those days. Students need to understand the bizarre “Cold War” and why it was so difficult for people to think outside narrow political or national boundaries. It’s not that people were stupid or bigoted, they simply saw that world of ideology, ethnicity and states as natural. I think the part that often most startles them is the “trips” to virtual farms to see how animals were treated and food produced. 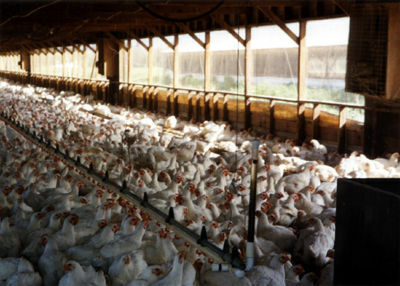 Even though they know it’s not real, when talking to the farmers the odors, inhumane treatment of the animals and the way in which chemicals and other additives are simply dumped into the food chain sometimes makes some students physically ill. Of all the things that make life 300 years ago so wretched, most say food production is the biggest reason they wouldn’t want to go back! Nothing prepares students for the virtual tours of chicken farms, and immersion into the food and chemical culture of the era. “How could they eat what was treated so barbarically?” students ask. The answer – most people never gave a second thought to where their food came from, or how it was manufactured. Of course, the worst part of that era — 2015 to 2045 — can’t help but grab attention. Looked at as a thirty year “era” it’s easy to understand it and figure out why things worked out the way they did. In our course we try to accentuate the uncertainty people living through that era experienced – they truly feared global instability, mass warfare, disease and even human survival. 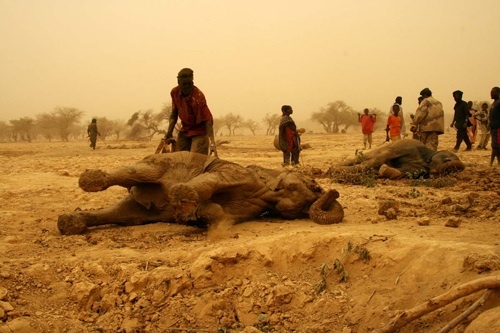 As global warming rendered huge sections of the planet virtually uninhabitable due to drought and disease, many thought that humans would fall back into savagery and chaos. We follow the side stories of the scientists, politicians, thinkers and cultural icons that strove to keep civilization together and built ties between the impoverished suffering states of Africa and parts of Asia with the technologically advanced people in Europe and North America. Students recognize how fragile these connections were, especially early on, and how easily they might have been destroyed by fearful nationalism and bigotry. The wisdom that global cooperation was necessary was a hard sell only on! In 1901 the first “gusher” at Mt. 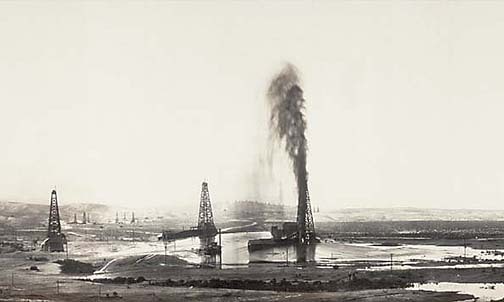 Spindletop in Texas helped usher in the age of oil – cheap, transportable and extremely efficient energy. A whole society was built on cheap energy, and when oil became scarce by the 2020s people feared collapse. The final era is that of consolidation, from 2045 to 2065 when the Treaty of Global Union was signed and most of the severe problems of the 21st Century were solved. This includes the new economics in which the ideologies of capitalism and socialism were jettisoned for a pragmatic approach that combined ideas from all, but focused on human liberty and opportunity as the core values. Massive debt was wiped out as all old currencies were simply abolished and the world started a new with a global currency and blank slate. In retrospect all that seems to have been inevitable, but students learn how gut wrenching and scary it was while the issues were debated. In the course we trace how the information revolution led to the capacity to massively decentralize government and bring it closer to the people, making possible a “Global Union” of core shared rules but little centralized power. They realize how odd such an arrangement would look to an early 21st Century human so used to seeing centralization and de-centralization as mutually incompatible. The new science of energy, food and climate is perhaps the most intriguing. We all learn it as natural, and look back at the materialism, consumerism, pollution and poisonous chemicals as a barbaric aspect of the old era. In this class students learn how that was taken as natural, and how dramatic the change in thinking was — so dramatic that absent global catastrophe it might never have happened. The virtual trips to the era are life like. It is as if we have traveled back in time, our ability to use holography to create worlds that appear completely real to our senses makes this possible. 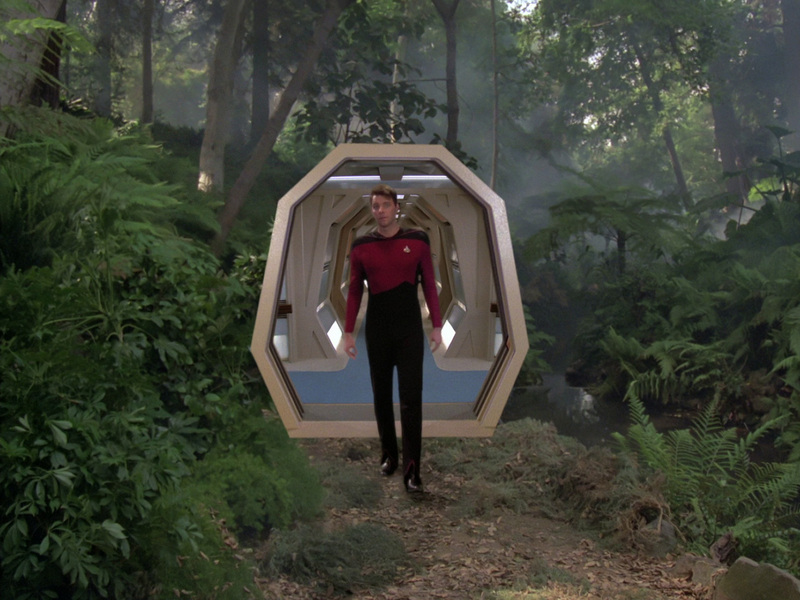 The past comes alive for students with hyper-programmed holographic technology — something imagined (albeit in very crude form) back in 1987 on a show known as Star Trek. This course reminds us of crises caused by the era of greed, corruption, materialism, lack of respect for the environment and pursuit of pure self-interest without regard for the common good. By learning about the past we can better understand our present, appreciate what we’ve accomplished, and remind ourselves that humans do best when we understand we share a common destiny, both with each other and with our planet.